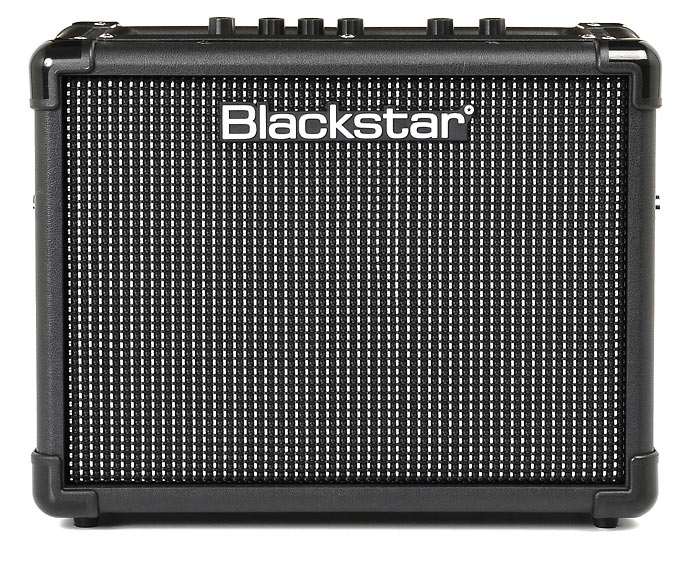 he ID:CORE range from Blackstar is designed to allow you to design your own custom tones. The V2 range offer new MP3/Line Input with Dynamic EQ to enhance the playback. In addition, you get the Studio One software from PreSonus, so you can record your play professionally! 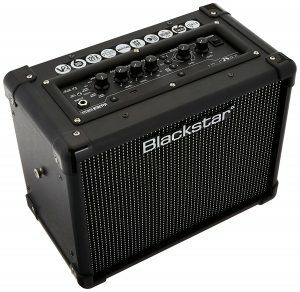 The Blackstar ID:Core10 V2 is the baby in this range, a 10 watt combo practice amp. Let’s run it through it’s paces. The ID:Core range is rich in features, so this should make some pretty good reading. 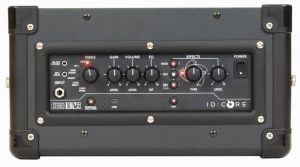 When you consider the price of this amp (check it our here) the features are amazing. AMAZING. Amp modelling, onboard effects, stereo sound, aux input and professional recording software. Even before you turn the amp on, you’re excited. Before we move on to the sound, let’s look at a couple of these features that you might not be familiar with. Rather than the traditional Bass/Mid/Treble controls, Blackstar has a patented ISF option. It stands for Infinite Shape Feature, and we talk about it in our review of the Blackstar HT-5RH. The control allows you to give the amp the classic sound characteristics of either American or British amps. As you turn the dial, the tone alters between continents. Blackstar have a little video to explain it further. As you run your eyes over the range of tones available, taking into the account the amp modelling, ISF and onboard effects…you start to realise that the range of tones available is huge. 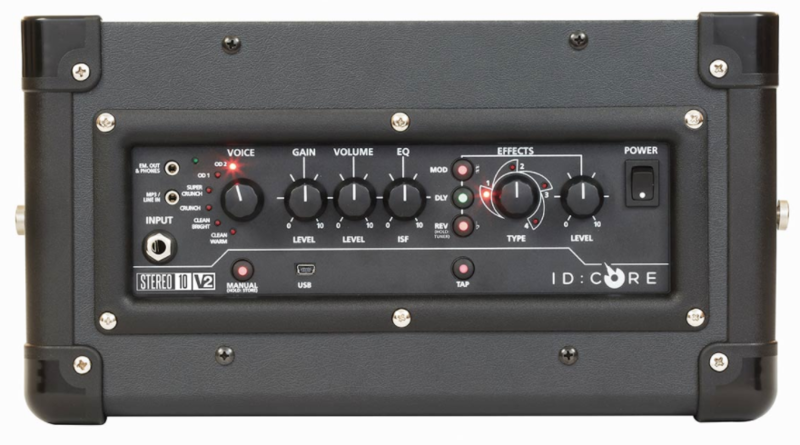 So when reviewing an amp like this, I’m mindful that you don’t want to read about every single tone that I managed to find. So what I’ll talk about is how easy the controls are to obtain different tones. Are these controls and features actually useful? Let’s start with the amp voice. There are 6 “voices” available, which is spot on for me. Often when you’re looking for tones, you’re looking for a couple of clean tones, some crunch, an overdrive and distortion. Those are the main “buckets” that we place our tones in. So Blackstar have made this simple by giving you a simple control to swap between these tones. I found that the OD tones were the nicest. The clean tones were fine, but I feel Blackstar excel in the gain tones. The addition of a “gain” control means you can control the amount of gain even further, whether it be with your clean amp voice or the other crunch and OD voices. The stereo speakers have been enhanced to give not only a full surround sound effect, but a full frequency range. This means that adding an MP3 player will sound great. One issue with some amps is that piping through your MP3 signal can sound terrible through the speaker, as guitar speakers are not voiced for drums and bass. In any case, the result of the stereo speakers is a much fuller sound than you’ll get from a traditional single speak combo. I found that this meant I wasn’t turning the amp up very loud. It felt similar to what I find with very high end hi-fi systems, where the sound is great even at low volumes. The effects included are Reverb, Delay and Mod (modulation). There are 4 different effects in each of these categories. The way it works is that you activate the effect by pressing the Reverb button (which lights up green), then move the Effect Type dial between the 4 options. This gives you a different type of reverb, delay or modulation. The “tap” button allows you to alter the delay and modulation tempo. There are lots of options here for you to explore. Almost too many. 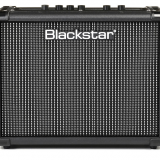 Blackstar saw this problem and have included their Blackstar Insider software that allows you to connect your computer and store you favourite tones. 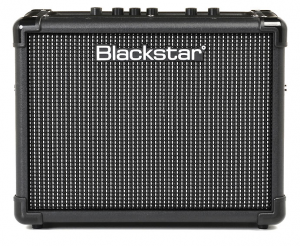 You can also share your tones with other Blackstar users. It works well, but I doubt this will become a mainstay of your daily playing. I found a few tones that I really liked and just changed them manually. The ID:Core 20 & ID:Core 40 have a footswitch that makes this a little easier. 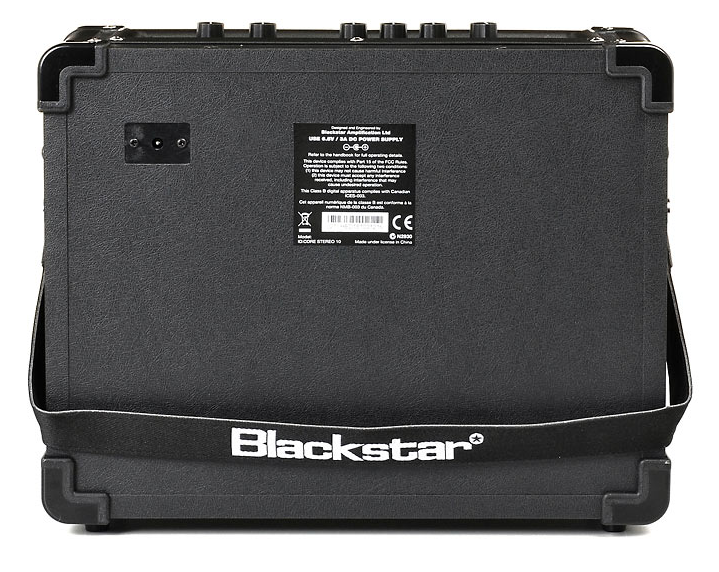 The Blackstar ID:Core10 is blessed with a massive range of features. The stereo speakers give an impression that this is no tiny practice amp. A real differentiator is the software included. For those who haven’t experienced recording before, it’s great fun. It’s also a massive time sink. I’ve spent many a night tweaking tracks on Ableton Live…actually, I’ve spent many weeks doing that! So if you like the idea of recording multiple tracks and laying down bass and drum samples, then the inclusion of PreSonus software will please you. 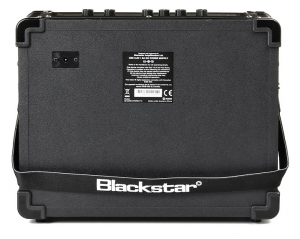 The Blackstar ID:Core10 gives amazing value to a home player. The build quality is fantastic, the looks are beautiful and the tone will keep you entertained for hours. It’s a top buy.